A bizarre bird has been born in the US with two heads and three beaks. 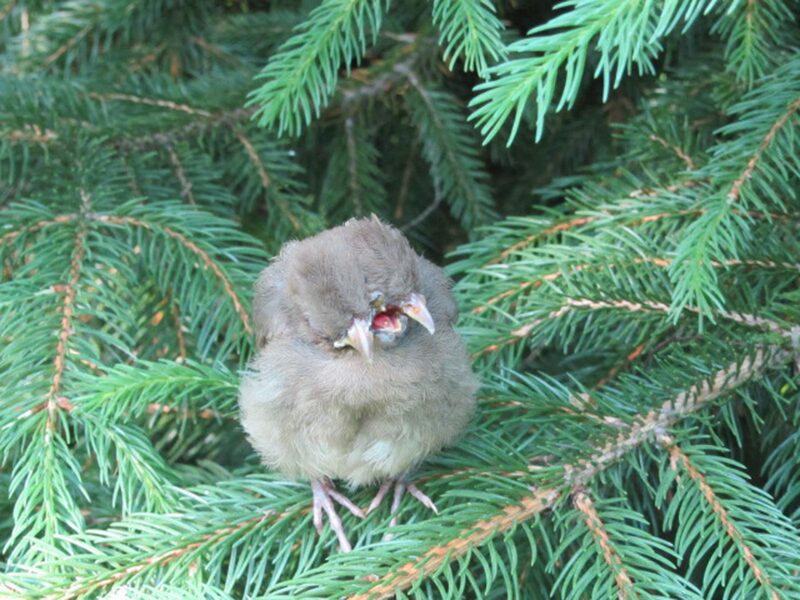 The baby female Cardinal was discovered this week by Northampton Massachusetts resident April Britt. She says she heard squawking in her garden and went to investigate only to discuver teh very and feraky looking bird. “I’ve never seen anything like that before.” says Britt, an avid bird watcher. Concerned that it might get attecdk nby a cat sh says she placed the little bird high up in the tree. She says the chick was gone the next morning. Its quite likely that due to its deformity, the little bird won’t survive once the parents stop feeding it.